How to Convert Android into iPhone X w/ “the notch”! 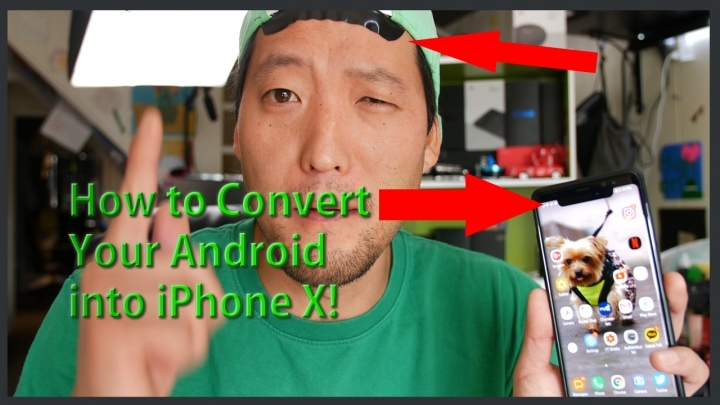 If you absolutely want to convert your Android smartphone into iPhone X, there’s an easy way using the XOutOf10 app for Android. With this app, you will no longer have ability to check all of your notifications nevermind checking how much battery percentage you have left. Best of all, you can even get the notch for your forehead which will fully convince your friends that you indeed have an iPhone X not Android. Now, we advise you use caution when using this conversion method as you may end up picking up a lot of girls. This app works on all Android smartphones so definitely give it a go and let us know if you are able to trick people into thinking you have iPhone X. Next story How to Fix Bad Photos w/ Photo Editor Pro on Galaxy Note 8/S8/S8+! Previous story Galaxy Note 8 vs. Pixel 2 XL!